Previous year’s sponsors are given first right of refusal with openings granted on a first-come, first-serve basis thereafter. Prior sponsors must respond by 10/31/2018 to preserve sponsorship status. 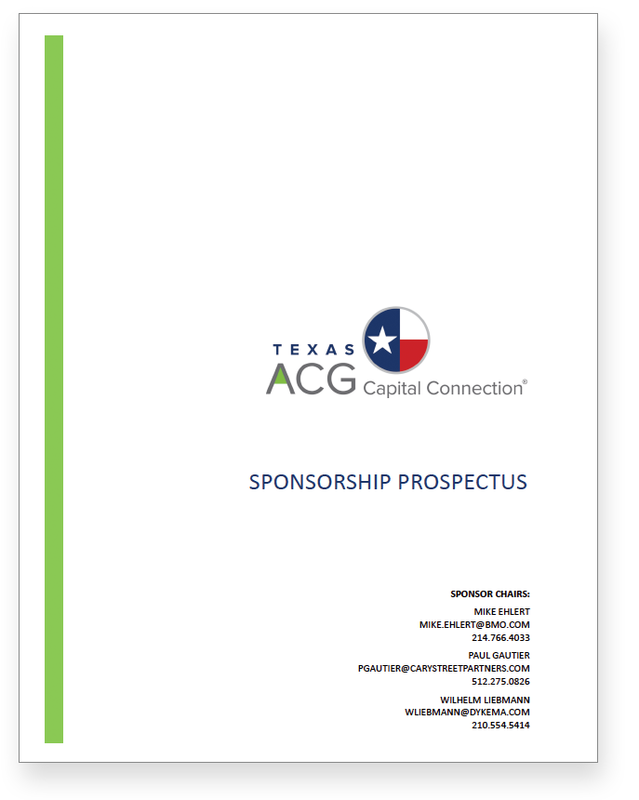 All sponsor applications are subject to approval by the 2019 Texas ACG Capital Connection Committee. Please allow one week to receive confirmation of your sponsorship status. Click to see the prospectus for a full list of sponsorship opportunities, benefits and other details.